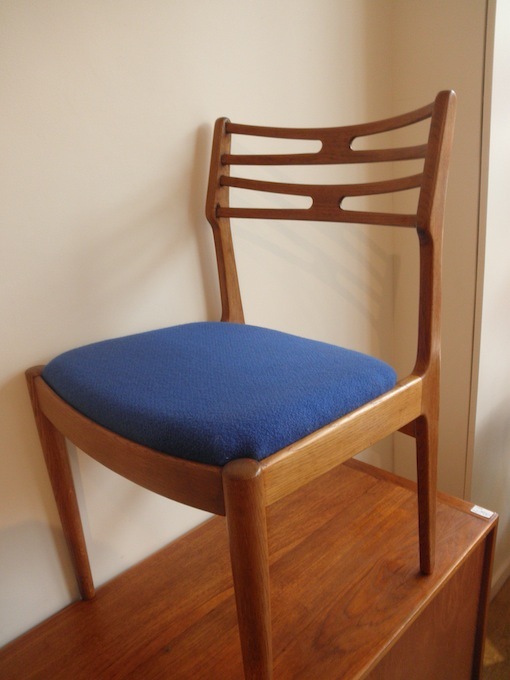 Designed by Johannes Andersen this set of 4 Danish oak and teak dining chairs have been recovered in Danish wool in a bright blue which contrasts with the warm oak frames. 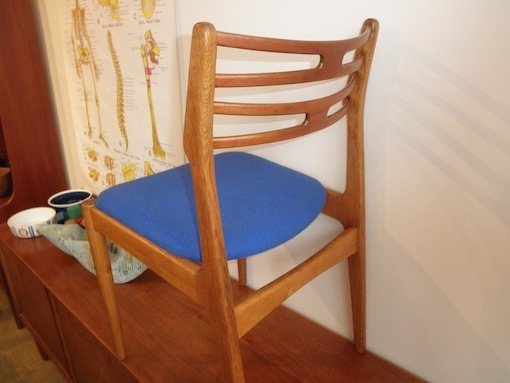 These chairs are one of the most comfortable dining chairs ever made and present beautifully. They look great around a circular table or are an easy chair to add to the set at a later date as they are a very popular design. Stamped Vamo Denmark to the seat bases. Designed c.1955 manufactured c.1960s.